Abu Dhabi: With seven days remaining before the first-ever visit to the Arabian Peninsula by the head of the Catholic Church, the Apostolic Vicar of Southern Arabia has expressed his happiness, saying that Pope Francis' visit to the UAE is a "historic moment for us in the Catholic Church". In an interview with the Emirates News Agency, WAM, Bishop Paul Hinder said that while the planning for the trip on such short notice had posed a challenge, it was a welcome one. "I am happy because it shows the openness of this country and is a unique opportunity to show the world what is happening here [in the UAE]," the Bishop continued. The Pope's visit, following an invitation by His Highness Shaikh Mohammad Bin Zayed Al Nahyan, Crown Prince of Abu Dhabi and Deputy Supreme Commander of the UAE Armed Forces, will draw attention to the global role of the UAE as an international leader in promoting religious coexistence. It also builds on the positive relationship between the UAE and the Vatican, who have enjoyed diplomatic ties since 2007.The first Catholic church in the UAE opened in Abu Dhabi in 1965, with the number of Catholics residing in the country now estimated as being nearly one million. Bishop Hinder said that the openness of the UAE, with its spirit of tolerance and mutual acceptance, "is a lesson" to be learned from, "even for other parts of the world." 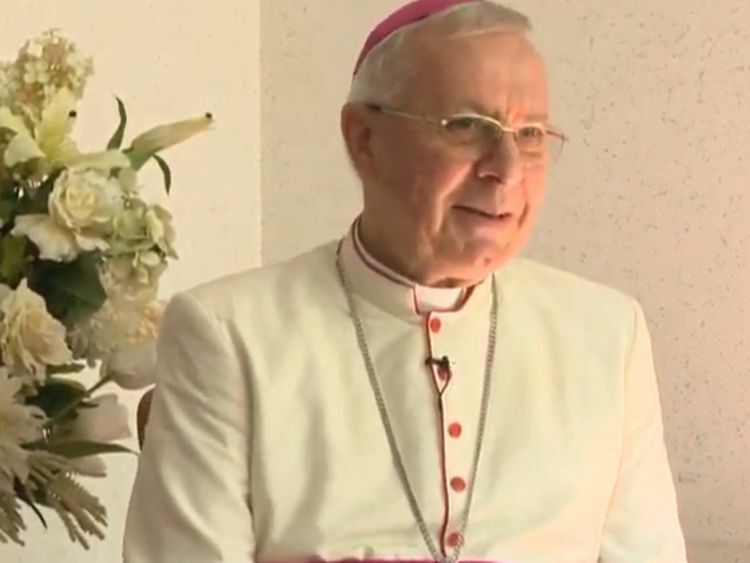 Reflecting on his time as the Apostolic Vicar of Southern Arabia, Hinder said, "I have been here for 15 years, and have had a good relationship with the authorities in Abu Dhabi." The Bishop said that he is "good friends" with Shaikh Nahyan bin Mubarak Al Nahyan, the Minister of Tolerance, adding that the two are in frequent touch and have worked together on various occasions and events involving the Catholic Church and other churches in the UAE. Commenting on the decision by President His Highness Shaikh Khalifa Bin Zayed Al Nahyan to declare 2019 as the Year of Tolerance, Bishop Hinder said that he saw it as an opportunity to develop further the ties of human fraternity. He emphasised the importance of partnering with various ministries in the UAE, not only during the Pope's visit but beyond, to ensure a "sustainable effect". "For 15 years, we have achieved strong developments in the relationship between the local population and the churches here," he explained, adding that "we have to strengthen and deepen the spirit of tolerance" to overcome "unfavourable tendencies" throughout the world. He expressed his belief that there are "good conditions" to overcome these issues, "both from the Emirati side and from the different Christian Churches". The Pope's visit, from 3rd to 5th February in the nation's capital, Abu Dhabi, is being seen as an invitation for collaboration between all those who seek peaceful dialogue and cooperation.